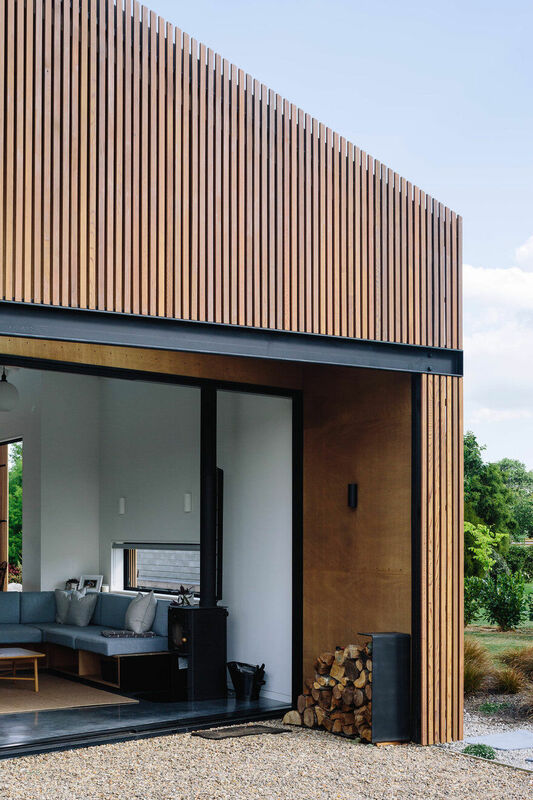 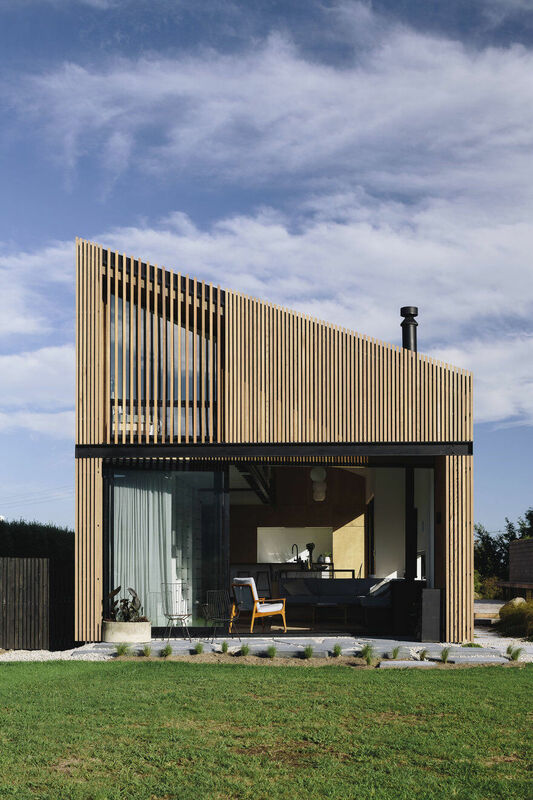 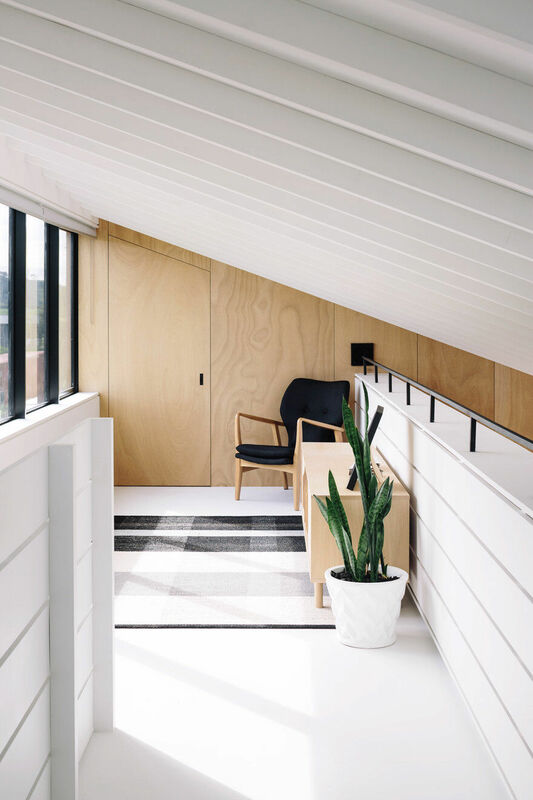 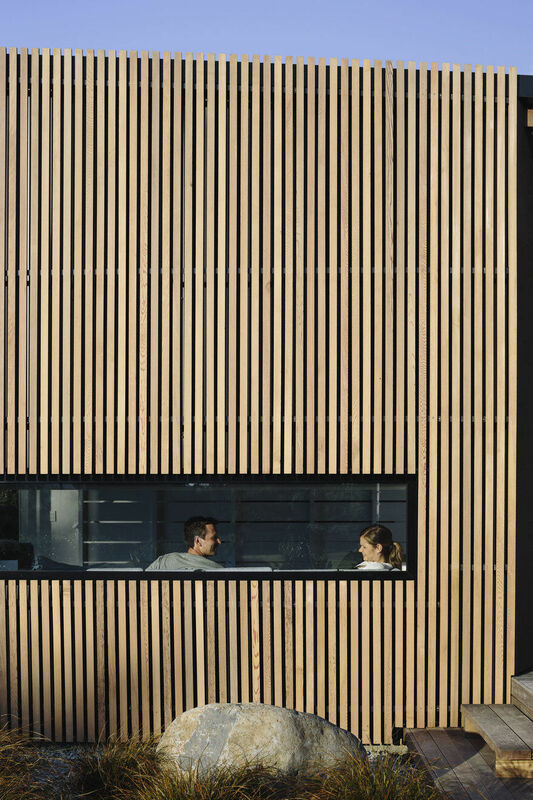 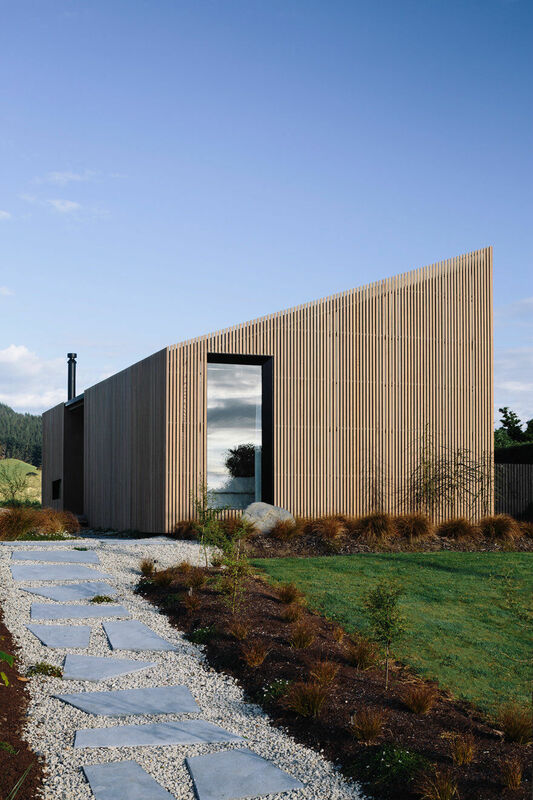 Recipient of the NZIA New Zealand small project architecture award, the simple skewed form of this house has an appropriate scale and presence within the wider landscape. 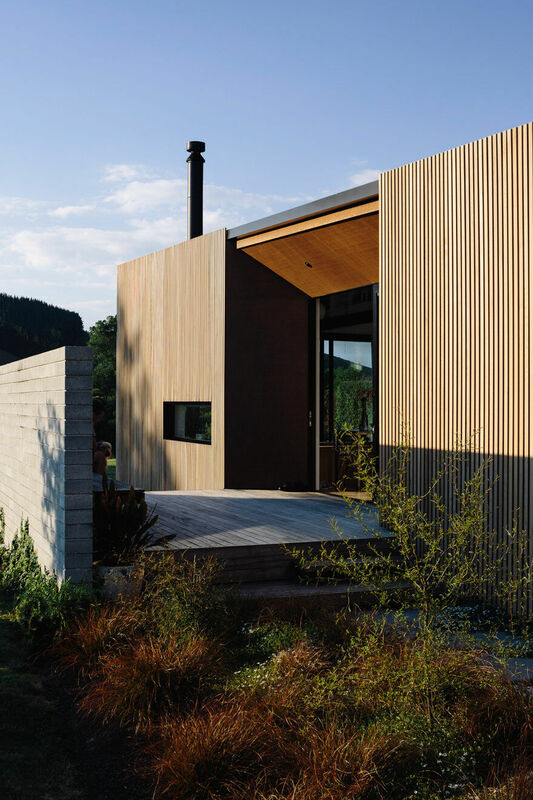 On arrival visitors are led up a path alongside tall cedar screens before stepping up onto a deck and informally entering. 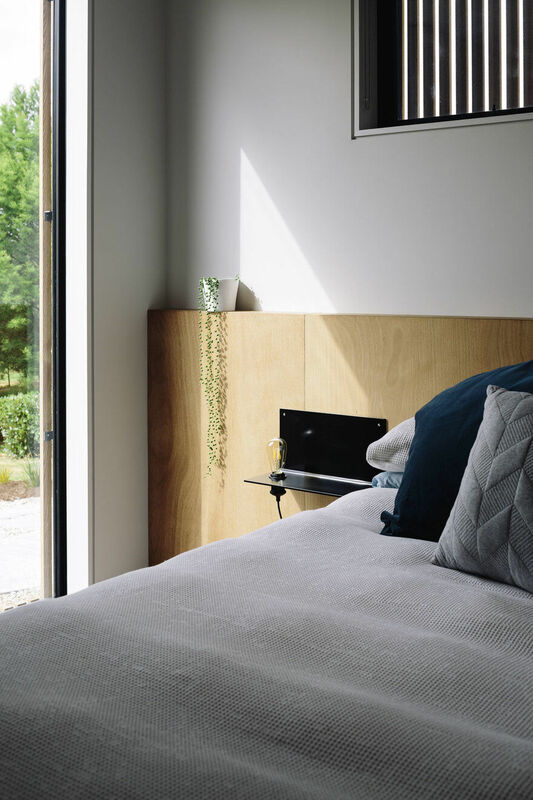 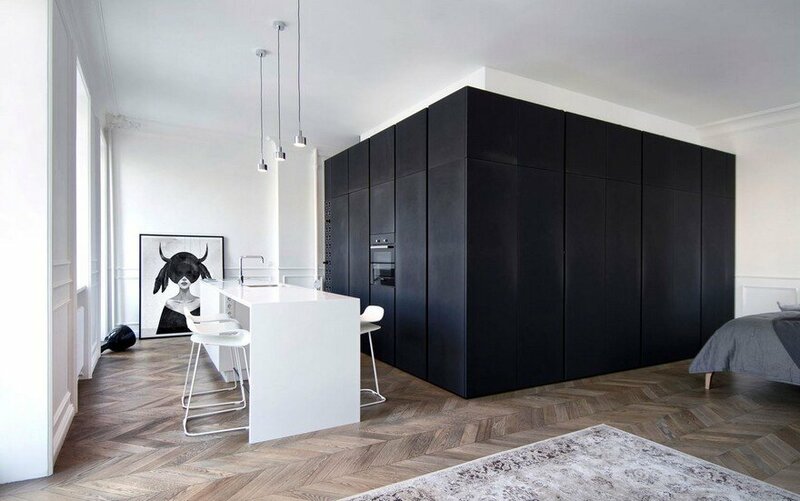 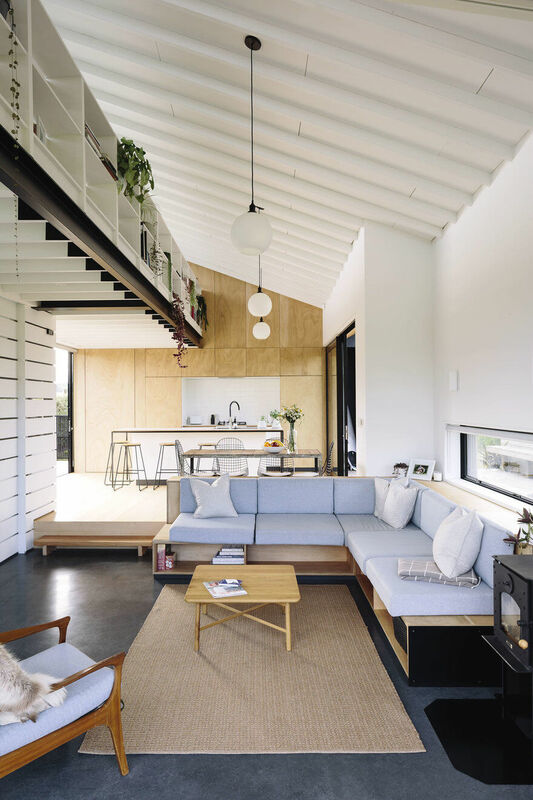 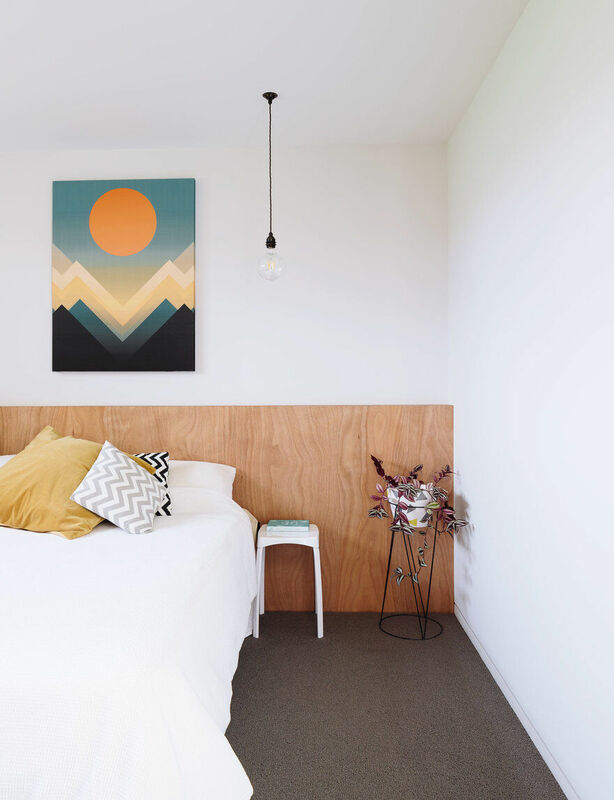 Capturing this sense of informality was a key design driver in creating a small family home that felt like a retreat. 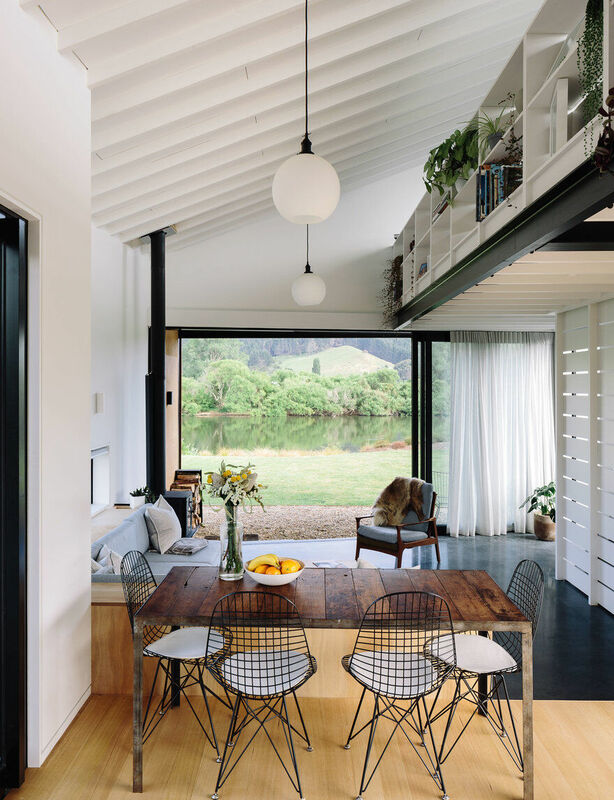 The kitchen is the hub of the River Retreat with the deck slicing through the plan. 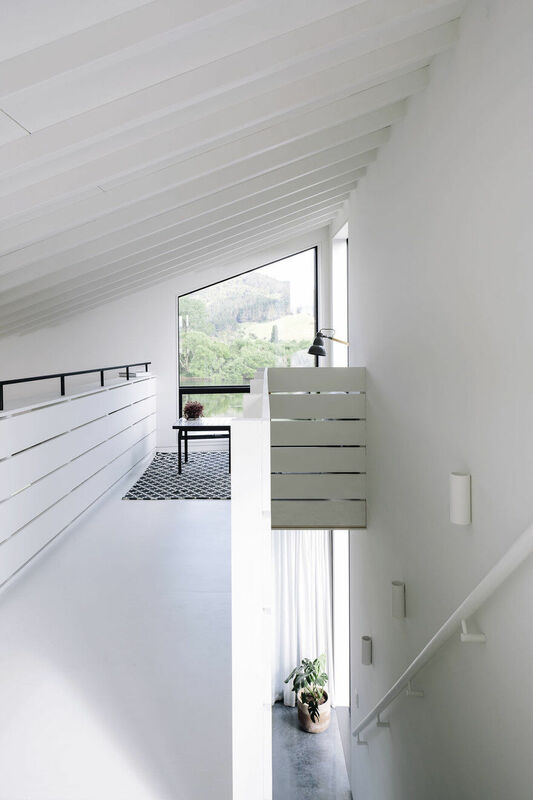 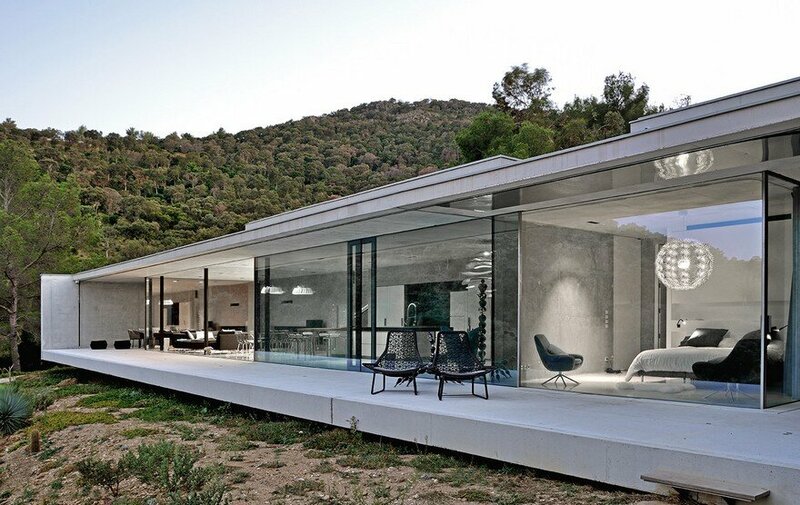 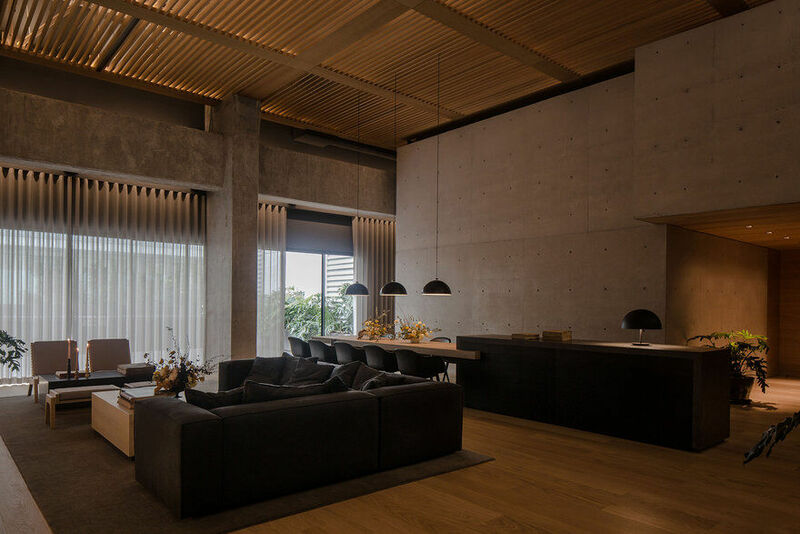 The living space steps down into a light filled volume reaching out to the river. 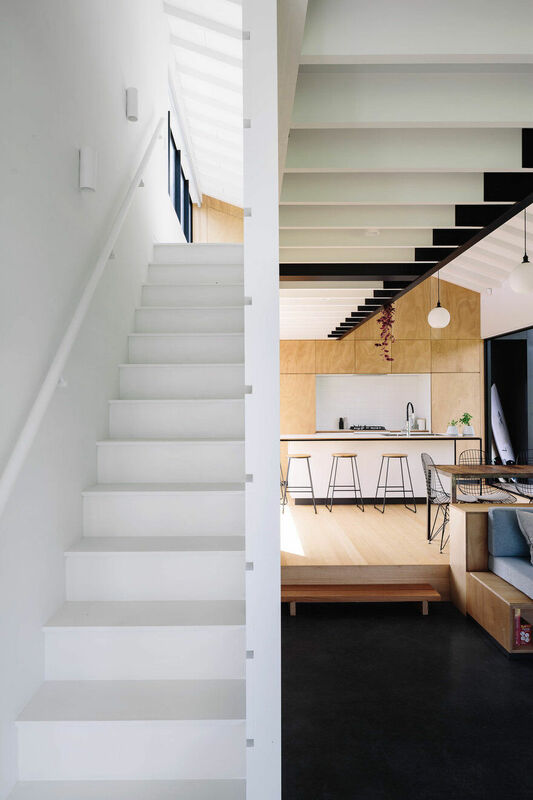 A mezzanine pulls over above with an exposed bookcase balustrade providing a sense of homeliness. 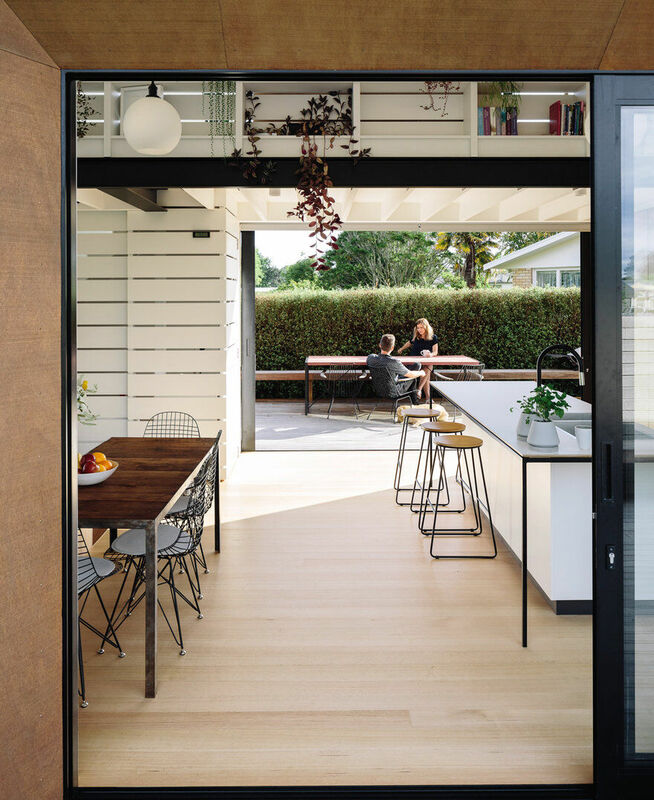 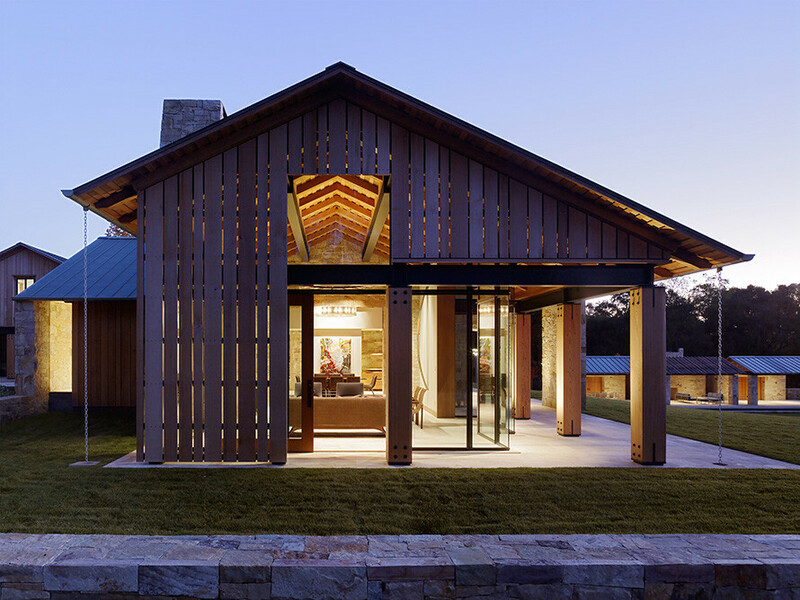 The rear of the house, delineated by the seamless pivot door, provides a place to retreat.